[115 Pages Report] Self-Cleaning Glass Market is projected to grow from USD 94.9 million in 2017 to USD 122.7 million by 2023, at a CAGR of 4.4% from 2018 to 2023. For company profiles in the report, 2017 has been considered the base year. In cases wherein information is unavailable for the base year, the years prior to it have been considered. 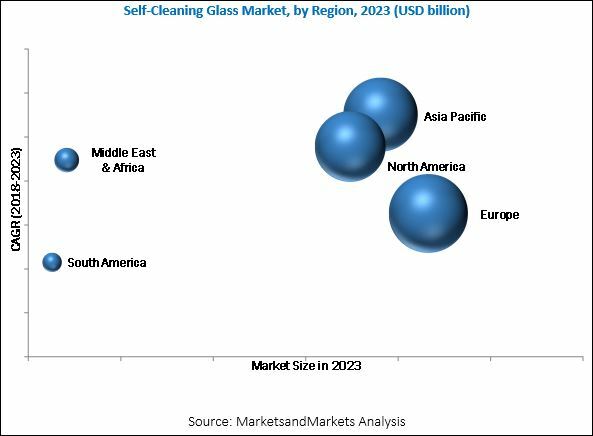 The research methodology used to estimate and forecast the global self-cleaning glass market began with capturing data on key vendor revenues through secondary sources, such as Hoovers, Bloomberg, Chemical Weekly, Factiva, and various other government and private websites. Vendor offerings have also been taken into consideration to determine market segmentation. After arriving at the overall market size, the total market was split into several segments and subsegments, which were later verified through primary research by conducting extensive interviews with key personnel, such as CEOs, VPs, directors, and executives. Data triangulation and market breakdown procedures were employed to complete the overall market engineering process and arrive at the exact statistics for all the segments and subsegments of the market. The breakdown of profiles of primaries is depicted in the figure below. 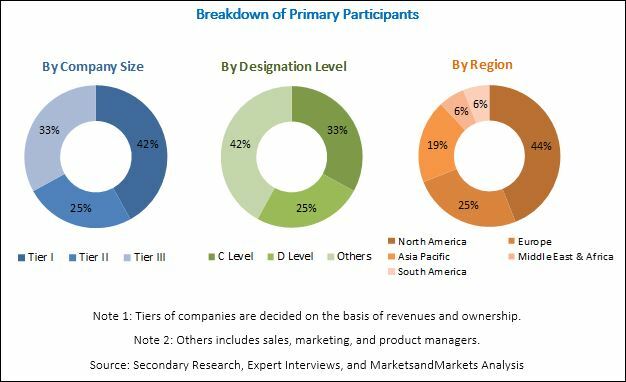 The self-cleaning glass market has a diversified ecosystem of upstream players, including raw material suppliers, along with downstream stakeholders, vendors, and government organizations. Companies operating in the self-cleaning glass market include Nippon Sheet Glass (Japan), Saint-Gobain (France), Guardian Industries (US), Cardinal Glass Industries (US), and Asahi Glass Co. (Japan), among others. This research report categorizes the self-cleaning glass market based on coating type, application, and region, and forecasts revenues as well as analyzes trends in each of the submarkets. The global self-cleaning glass market is projected to grow from an estimated USD 99.1 million in 2018 to USD 122.7 million by 2023, at a CAGR of 4.4% from 2018 to 2023. The growth of the construction industry is a major factor driving the self-cleaning glass market. The low lifetime-cost of self-cleaning glass is another factor fueling the growth of this market; cost-cutting on labor and detergent otherwise required to wash the glass reduces the lifetime-cost of self-cleaning glass. The hydrophilic segment is projected to be the largest coating type segment of the self-cleaning glass market from 2018 to 2023. The hydrophilic self-cleaning glass has a film of titanium dioxide coating. This coating self-cleans glass in 2 stages, the photocatalytic stage and the hydrophilic sheathing stage. In the photocatalytic stage, ultraviolet light from the sun breaks down the organic dirt present on the glass. In the hydrophilic sheathing stage, rain washes away the dirt, and does not leave any streaks behind, as hydrophilic glass spreads the water evenly on the surface. This glass is more of use in regions with frequent rainfall or if the glass is hosed down regularly. The residential construction segment is estimated to be the largest application segment of the self-cleaning glass market in 2018. In residential construction, self-cleaning glass is used in roof windows, bay windows, conservatories, roofs, patio doors, and glazed facades. Generally, a hydrophilic coating is applied on solar control glass to provide both, high energy-efficiency and self-cleaning properties. Rapid urbanization in emerging countries and the increasing number of building codes in developed countries have increased the demand for self-cleaning glass in residential construction. The Asia Pacific is expected to be the fastest-growing market for self-cleaning glass during the forecast period. The growing middle-class populations with high disposable incomes and increasing demand for sustainable construction are major factors contributing to the growth of the self-cleaning glass market in this region. Low effectiveness of self-cleaning glass in areas with low rainfall and less sun exposure is a major factor restraining the market. Self-cleaning glass is also more expensive than conventional, non-coated construction glass by 15-20%, leading to low demand for self-cleaning glass in emerging countries. Key players operating in the self-cleaning glass market include Nippon Sheet Glass (Japan), Saint-Gobain (France), Guardian Industries (US), Cardinal Glass Industries (US), and Asahi Glass Co. (Japan), among others. These companies focus on enhancing their product portfolios to grow in the self-cleaning glass market. 10.4 Cardinal Glass Industries, Inc.
10.11.1 Wuxi Yaopi Glass Engineering Co., Ltd.
10.11.2 Foshan Qunli Glass Co., Ltd.